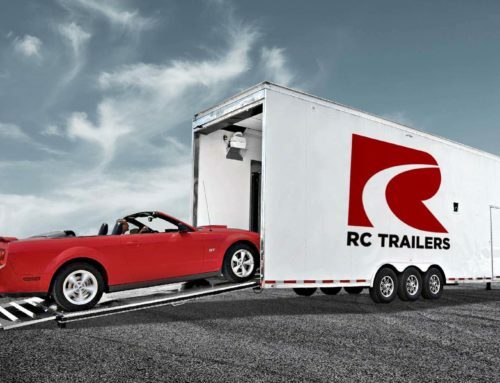 Hitch options make it easy to match the RC Trailer you want with the tow vehicle you have. The Bumper Pull, aka the general Coupler, is a lightweight receiver hitch that bolts onto your vehicle’s bumper and provides a 2″ x 2″ receiver tube opening. Because a bumper hitch attaches directly to the bumper, it is always limited to the weight carrying capacity of your bumper rather than the vehicle overall. Bumper hitches are commonly found on pickup trucks, SUVs and other larger vehicles. 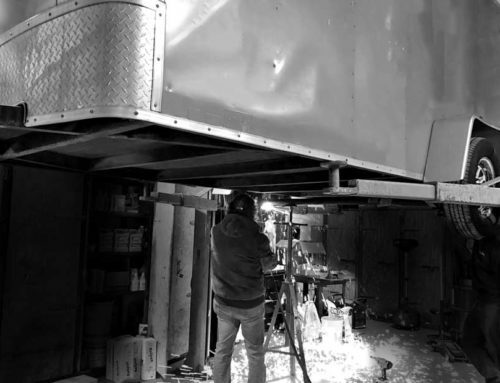 Almost all of our trailers (except the very largest) offer bumper pulls as an option, including but not limited to: Cargo Haulers (RSTs, RTTs, ARSFTWs), Open Trailers (Smooth Loaders, ARCHs, ARTs), Combo Trailers, Concession Trailers, and all Race Trailers. 5th wheel hitches are a heavy-handed hitch that mounts into the bed of a pickup truck, usually over or just forward of the rear axle. 5th wheel hitches are similar in structure to commercial tractor-trailer rigs. They typically range in capacity from 16,000 up to 25,000 lbs. 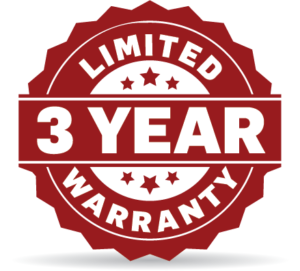 and are commonly used for towing large campers, travel trailers, and car haulers. 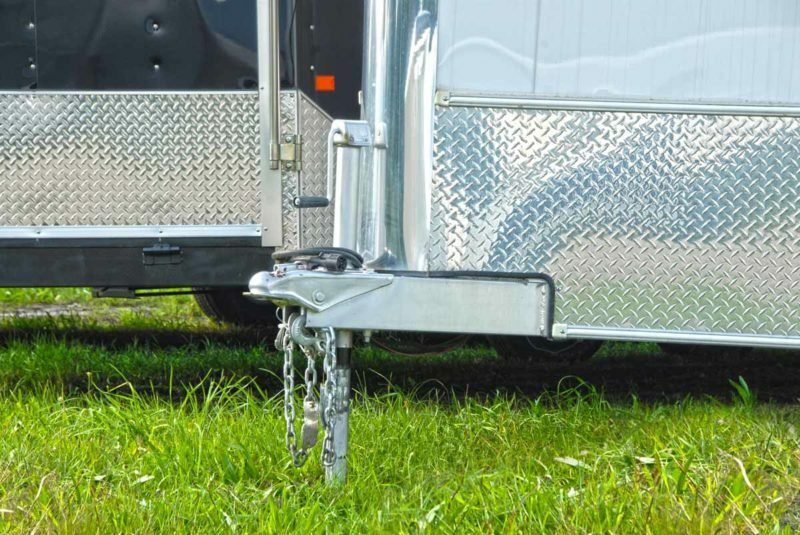 5th wheel hitch supported RC Trailers are primarily our Race, Combo, Concessions, and Cargo Trailers, as most of our other options would be too lightweight to require one. Like a 5th wheel hitch, Gooseneck hitches mount into the bed of a pickup truck and usually place the trailer tongue weight slightly forward of a vehicle’s rear axle. Gooseneck hitches are less intrusive than 5th wheels, allowing full access to the truck bed when the trailer is not hooked up. Typical uses of a gooseneck hitch include horse or livestock trailers, car haulers, large flatbeds and other commercial or industrial trailers. Gooseneck hitches are commonly rated to tow up to about 30,000 lbs. gross trailer weight. Gooseneck hitches are an option for the same models as the 5th wheel hitches, with the added benefit of ample storage space in your truck bed. Hitch capacity is a vital part of the Trailer buying process. No one can carry more than their hitch can take. RC Trailers understands this, which is why we want to make sure you have all the information you need to make an informed decision about the life of your hauls.